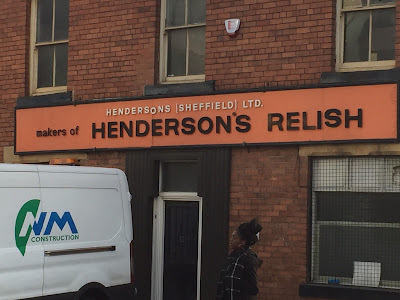 More than a year before I moved to Sheffield, Adrian and Linda, via the medium of Linda's splendid meat and potato pie and mushy peas, introduced me to Henderson's Relish. Sadly Blogpress has eaten my accompanying photos, so the moment is no longer pictorially commemorated. Later, when I moved to Sheffield, they gave me a bottle as a welcome gift. It was a 2012 commemorative Jessica Ennis gold label bottle, and I haven't finished it yet - I'm an appreciative, rather than a prolific, user. I have however bought numerous bottles over the years and there are few people who know me who haven't had the spicy fluid pressed upon them at some time. 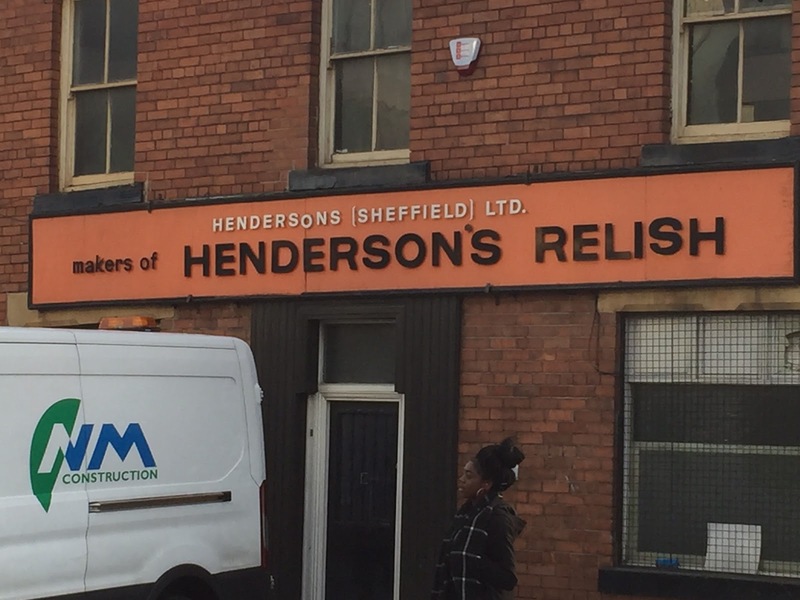 Until 2013, Henderson's Relish was still produced in a little factory in the centre of Sheffield - pretty much opposite my office. A little, rather run down looking factory; an old industrial building clinging on in the midst of the University's ever-expanding, ever-larger, estate and for years, refusing to sell to the University even as it surrounded them. This changed after the death of the long-time managing director in 2013, and production was finally moved out to a modern plant, still in Sheffield, but no longer in the heart of the city. 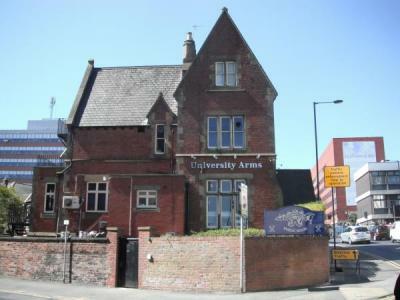 And, inevitably, the University acquired the site, with a commitment to keep and restore the building. For a while, we thought they might convert it to offices - I would so have loved to have that address! 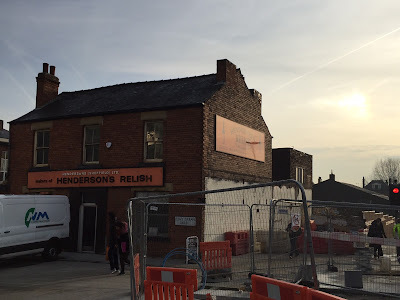 But no, it seems that they plan to make it into a pub. Only thing Adrian does not Hendo's on is turkey!